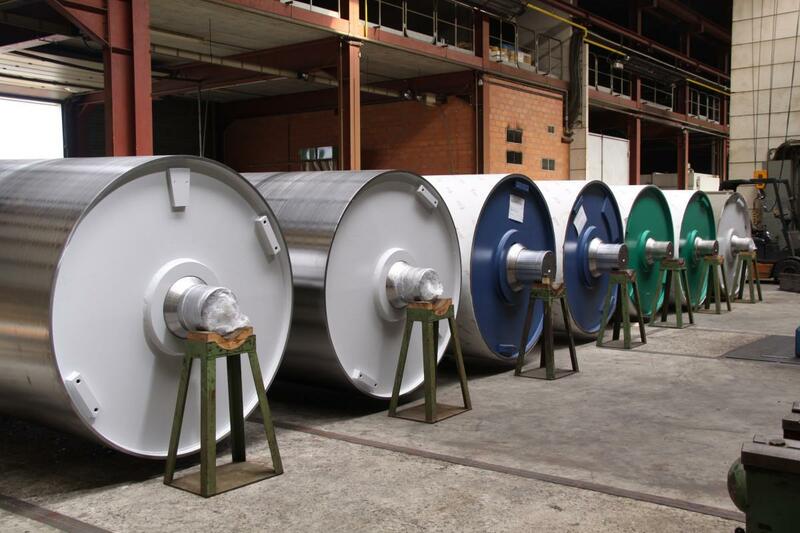 To manufacture a polyurethane elastomer part or to apply a polyurethane elastomer cover to a wheel, roller or other part, several manufacyuring steps are required. Depending on the particular product a selection of or all of the steps below can apply. Receipt and incoming inspection of the products which have to be (re)covered. This step includes disassembling of bearings and other parts. Removal of any old covering and excessive dirt, grease and oil. To obtain a rough and clean surface the metal core is shot-blasted and completely degreased. Right after shot-blasting a bonding agent is applied. This prevents oxidation of the metal and provides bonding with the polyurethane to be cast. The carefully prepared product is first pre-baked and then pre-heated together with the mould. 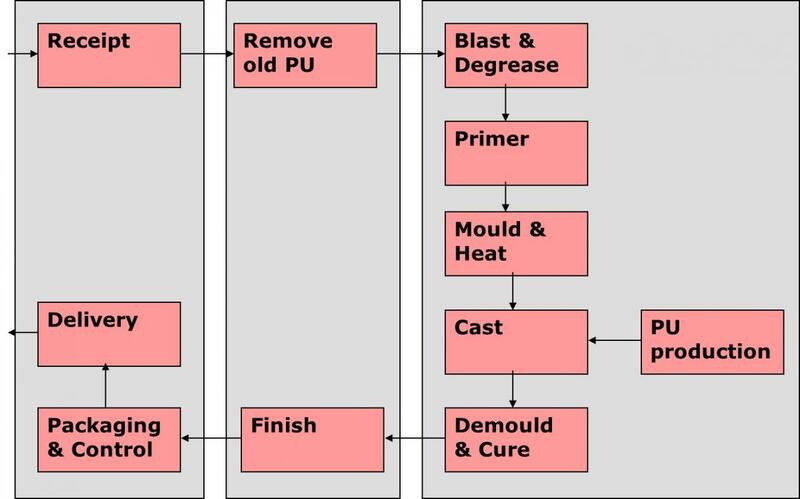 This is required to activate the bonding agent and to bring the part and the mould to the PU processing temperature. 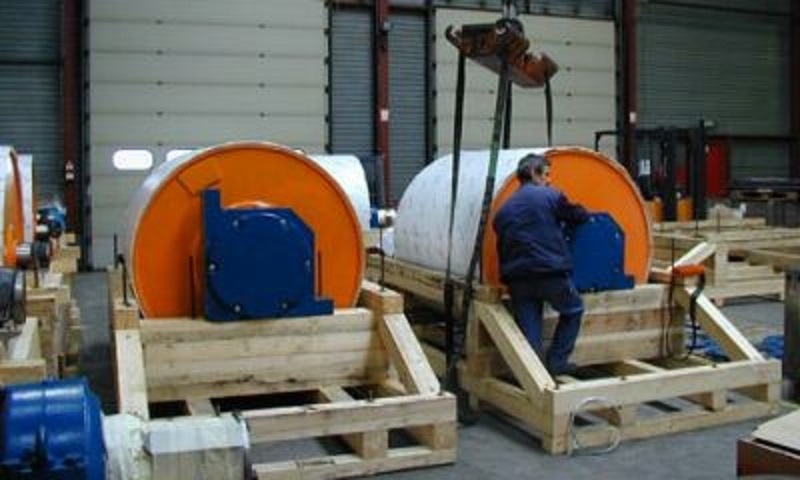 Meanwhile one out of 350 polyurethane different formulations is prepared. The reaction mixture consists of polyol, diisocyanate and chain extender components, sometimes complemented with additives and/or fillers. This mixture is a homogeneous liquid and is processed at high temperature. The liquid polyurethane mixture is poured into the mould, which can be oriented both vertically or horizontally. Due to a polymerisation reaction in the mixture the polyurethane elastomer will be formed. At first the reaction will lead to an increase in viscosity and later on the solid state will be reached. Once the polyurethane reaction is proceeded to the solid state and a certain minimum strength is reached the mould is removed. Although a solid material is available now, the final poperties have not been achieved yet. For this purpose a certain cure and/or post-cure is required. 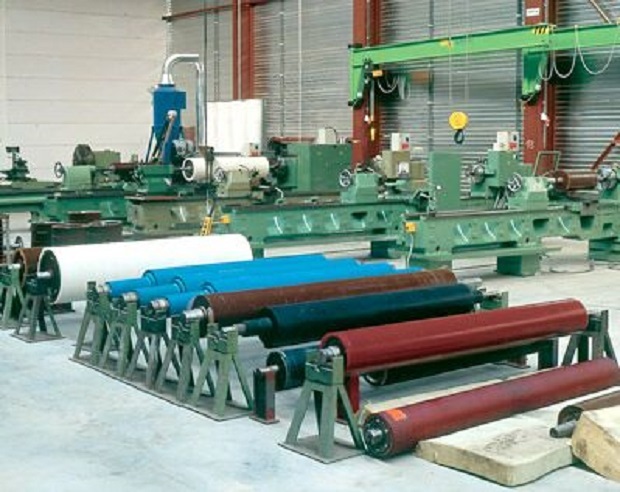 This means the material will be conditioned at a certain temperature during a certain time, both temperature and time depending on the type of PU. The product is finished in the machining department. 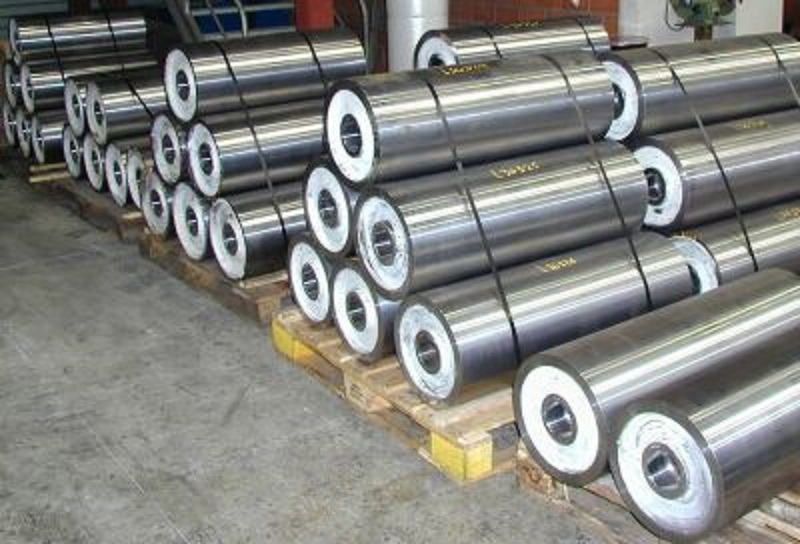 The surface finish of rolls can be cylindrical as well as crowned, whether or not provided with longitudinal, cross or spiral grooves and with a surface roughness in a specified grade. A final quality control and adequate packaging of the products. This step includes mounting of bearings and other assembly work. 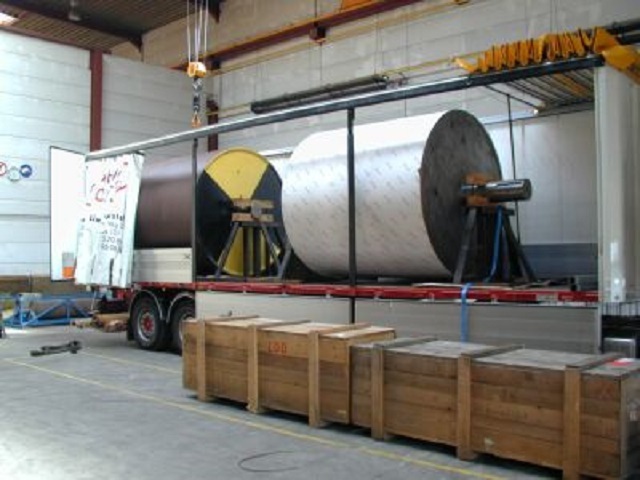 Delivery of the products to the customer either by LUC's own transport or in any other way. LUC manufactures its products with a highly qualified team and modern machinery, including various multi-component casting machines and an extensive range of curing ovens.